Gauge restaurant's Scandinavian-style interior (photo: Toby Scott). 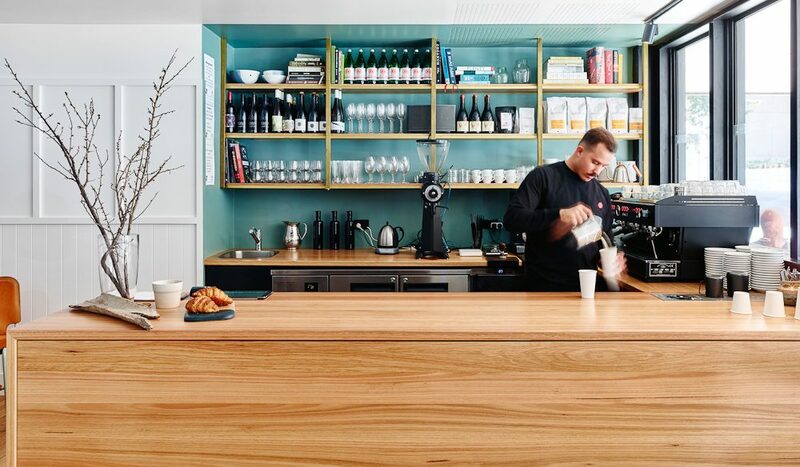 Fine dining has shrugged off its turned-up nose and excessive price tag, and turned its attention to the cafe scene, as Celeste Mitchell discovers in South Brisbane. What a pleasure it is to walk into a restaurant that’s not known for southern fried chicken wings or American-style burgers. There are no fish tacos in sight (only a far more inventive blood taco, but more on that later), and while there is still pork belly on the menu, nothing about Gauge in South Brisbane comes with a food trend-fatigue hangover. But there are three things one should know: there is no website, no phone number, and no sign, so you’ll need your wits about you to track down the Scandi-chic space in Fish Lane (and crossed fingers that a table is available). But even if a table doesn’t present itself for a while, the food is definitely worth every 60-second block of staring into the intimate designer digs. A matte black La Marzocco espresso machine shares counter space with delectable pastries from Sprout Artisan Bakery, while black light shades hang above leather sling-back chairs. 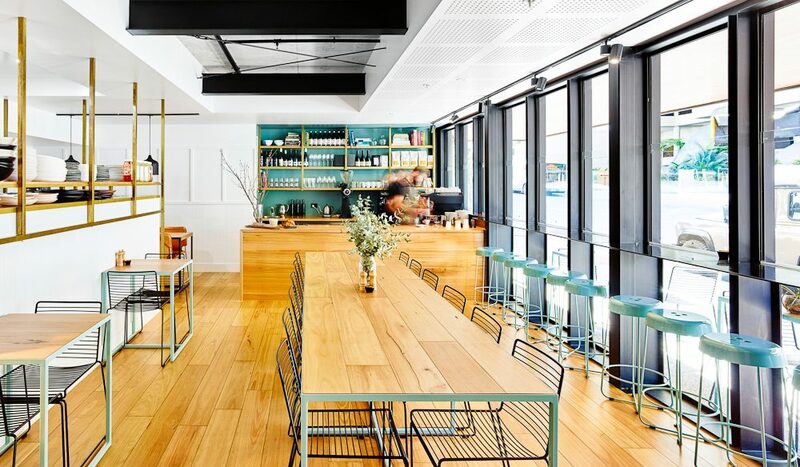 Sleek timber tables with duck-egg blue metal frames are complemented by brass shelving details, while blue stools line the window bar. Since it opened quietly in May, Gauge has been the buzz of Brisbane. 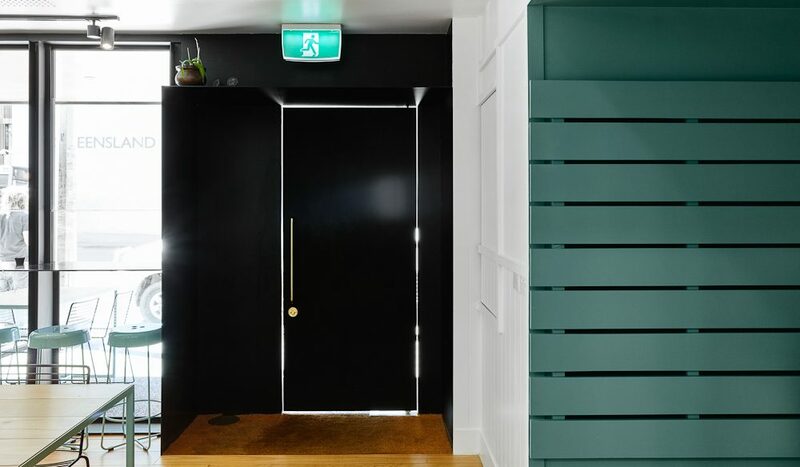 A creative collaboration between Jerome Batten, owner of the almost cult-status Sourced Grocer in Teneriffe, and award-winning head chef Ollie Hansford who hails from Stokehouse, the food is fresh, seasonal and inventive. We settle in to share a large communal table and continue to ogle the space – everything is designer, right down to the wine label; a limited-run 2008 Arneis. We savour each floral-tinged drop knowing there’s no more where that came from in Australia. We skip over the blood taco with bone marrow, pine mushroom and native thyme, and begin, on our waiter’s recommendation, with the chestnut parfait with a wafer-thin rye and honey cracker. I’m not sure what’s prettier – the golden free-form cracker we break to dip into the creamy chestnut concoction, or the hand-made plate it’s served on. This is style with substance. Witlof with goat’s curd and shaved fermented pear wakes up our tastebuds with its zing and crunch and as our wine glasses are topped up, the side stars arrive: sweet potato baked in black garlic caramel is incredibly moreish, as is the roast cauliflower with black rice, parmesan custard and mustard seed. They complement the baked eggplant with black tahini honey, roasted almonds, flamed grapes and smoked yoghurt, and Spencer Gulf squid with roast gem lettuce, wakame and basil – both as interesting on the palate as on the plate. For dessert, we try the wattle seed pastry with umami custard, cocoa and skyr sorbet. Yes, I’ll admit, I had to Google ‘skyr’ but now that I’ve discovered the tart Icelandic yoghurt, I’ll be on the look out for it on more menus. Umami is a Japanese term for the fifth taste receptor – translated literally as ‘pleasant savoury taste’ – and this dessert is a sublime example; rich and decadent without being too sweet. I’m already planning my return to try their most popular dish – the garlic bread with burnt vanilla and brown butter. Take that, salted caramel. Verdict: A refreshing and chic dining option that won’t break the budget, but order a large variety of share plates if dining in a group to ensure you’re satiated. We rated: The gorgeous décor, the service, even the ‘is-this-the-right-place?’ confusion as you first arrive. But most of all, the unexpected flavours. We’d change: Nothing, except to arrive hungrier so we could have more! Notes: Gauge is open Monday to Sunday from 7am to 3pm and Thursday to Saturday for dinner from 5:30pm.